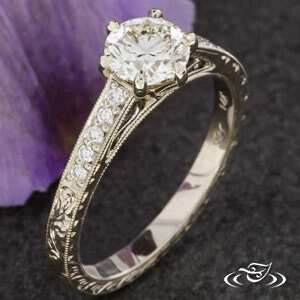 Check out these 4 stunning vintage inspired designs! Click the photo to purchase. Palladium reverse taper solitaire with scroll engraving on top and side face. 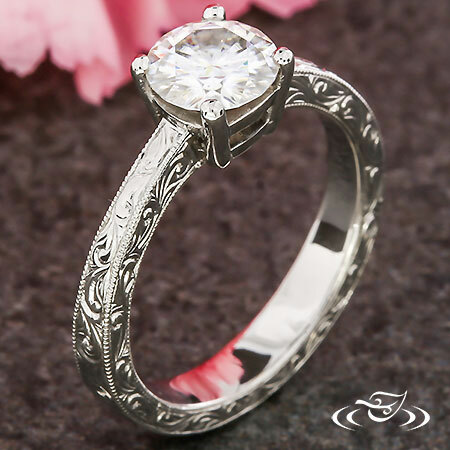 Set with 6.5mm Forever Brilliant Moissanite. Finger size 6. 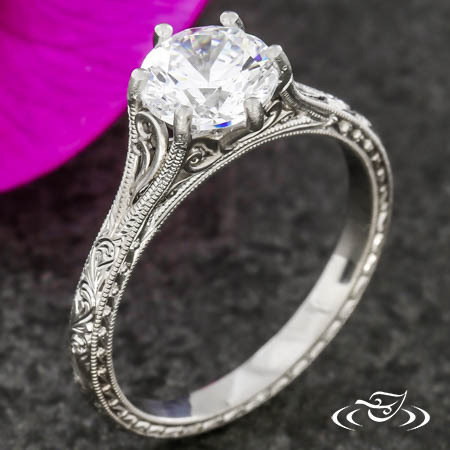 Platinum antique style engagement with filigree curls on top and side face with scroll pattern engraving on the top, and half wheat engraving on the sides. 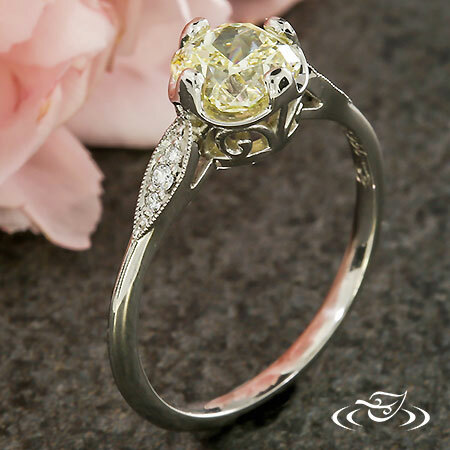 Set with 1.30ct H-VS1 GIA certified diamond.